Summer is winding down and fall is on its way. We love this time of year! Cooler temperatures make it so nice to spend time outside. As usual, we have a busy month ahead of us. We look forward to sharing it with you. Monday, September 7th is Labor Day, a day to celebrate the social and economic achievements of American workers. Isn't it nice to be recognized for your accomplishments? Take some time off, relax, and enjoy! And be sure to take advantage of the results-driven product and treatment specials we have planned for you this month! You're going to love them! Happy September! We'll see you at Esthetiques Skin Care and Wellness... the best spa in White Marsh, MD! Get your body in sync with a series of 4 Body Wraps. Reserve your appointment and receive a complimentary Mini Back Renewal Sugar Scrub to further enhance your results. Make September a recognition month for your hardworking team. Reserve a team party to recognize your team for Labor Day. What a great team-building experience! Reserve your party and receive Complimentary Rejuvenating Facials! The summer sun causes skin damage. Is your face dry with uneven skin tone? Reserve an eSignature Intensive Whitening Facial and Neck Treatment with Microdermabrasion followed by a therapeutic Hand Treatment to eliminate summer damage. Visit the Spa Boutique on your way out to pick up your complimentary Body Therapy Moisturizer to continue your results at home. Rid your skin of impurities accumulated over the summer and reveal a bright, glowing complexion. Reserve a series of 3 Chemical Peels and receive a $50 credit toward your choice of skin care products. According to the rules of fashion, Labor Day Weekend is the last official time where wearing white is appropriate. What do you think...is it acceptable to wear white after Labor Day? Reveal a brighter, more even complexion by noticeably improving skin tone and texture. 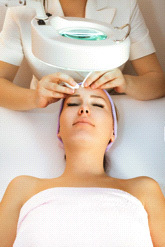 This treatment begins with Pineapple Scrub to gently exfoliate skin and is followed with Microdermabrasion using a diamond-tipped to further remove dead skin cells and smoothen skin texture; skin is infused with collagen serum and a luxurious whitening or anti-aging mask to achieve flawless-looking skin. 60 min. Introductory price $60 ($125 value). Click here to reserve this amazing whitening/anti-aging facial! To stay heart-healthy, exercise for 1 straight hour every day. "Being physically active is important for your heart, but you don't have to carve out an hour every day to do it. The American Heart Association suggests at least 30 minutes of moderate-intensity aerobic activity at least 5 days a week. Or you can do at least 25 minutes of more vigorous activity 3 days a week. That can be anything like walking, swimming, or biking. You can break it up into 10 or 15 minutes here and there. The goal is just that you move." "This was my first experience with a facial treatment. I expected it to hurt from extraction but it was very relaxing and rewarding experience. My face felt renewed only after a few treatments. The treatment was a great experience and I'm excited to continue." "What a great experience - relaxing and cleansing. My face feels smooth and it's glowing. Definitely recommend the microdermabrasion. Can't wait to try the facial." The end of the summer is an ideal time to get a trim. 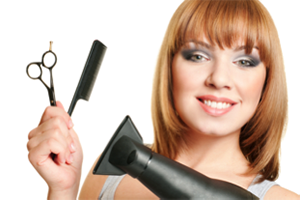 Summer exposure to UV rays and chlorine has likely left your hair in desperate need of fresh ends. Reserve your hair appointment and transition into fall with bouncy, shiny hair! Chunky sweaters are back this season! Cuddle up in your favorite big sweater for a cool night out...you'll be comfy and make a hot fashion statement all at once! Q: My arms, hands, and legs are dry and dull-looking. My hands even have brown spots on them. What is the best way to get soft, glowing skin in these areas while eliminating the embarrassing brown spots? A: Some of the main causes of brown spots, dry and dull-looking skin are sun exposure, aging, and genetics. Brown spots usually appear on areas most exposed to the sun like the face, hands, arms and shoulders. As fall approaches, we must restore the damage your skin encountered during the summertime activities. There are available treatments to lighten or remove the brown spots and to get soft, glowing skin in these areas. 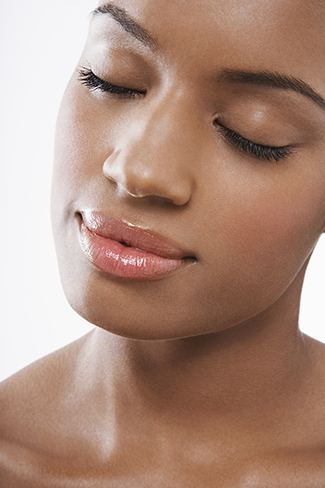 Treat with a Twofer - Use of hydroquinone alone or with retinoids may gradually fade the spots over several months. Other options include kojic acid, alpharbutin, licorice extract and vitamin C. We suggest you look for combo of two or more, because each plays its own role in halting spots. Apply broad spectrum sunscreen daily otherwise spots will return. Try: PCA Skin Intensive Clarity treatment($111) and Esthetiques Skin Lightener ($104)! Exfoliate - Exfoliate with Microdermabrasion or Body Peel. These procedures remove dead skin cells, to the brown spots and a new layer of skin grows in its place to expose healthy, radiant skin. Reserve your FREE Consultation! Perfect Sense Paraffin Treatment - electricity-free heating, refreshing aromatherapy, and powerful formulas to help maintain optimal skin health of the hands and feet, making hands and feet feeling soft, looking youthful and beautiful that everyone wants to touch. Try out this treatment for your hands and feet. Reserve your Complimentary Perfect Sense treatment now! Always apply a moisturizer - moisturizer will help you look and feel younger, skin feels soft and hydrated. Tip: Use after you shower while skin is slightly wet, the moisture of the skin absorbs the moisture immediately & helps get the moisturizer into the pores where it belongs. One to check out PCA Skin Body Therapy with velvety formula, hydrates the skin, and encourages an even complexion and smooth skin texture ($61, Esthetiques Skin Care). Hydrate - Keeps your skin healthy and looking flawless from the inside out. Wondering about the shelf life of that heap of makeup in your drawer? We all have that special cosmetics drawer that's stocked so full we can hardly close it each day. But, how much of these products do you actually use on a regular basis? Most likely, very few of them. Cosmetics have a shelf life and chances are that the tinted, glittery mascara you purchased a few years ago for a New Year's Eve bash is long overdue. It's time to clean out that overstuffed drawer and eliminate all the "past due" makeup. But, how are you supposed to know when to toss that mascara? No worries...we have the recommended shelf life for your most-used cosmetics. Follow these guidelines to keep your makeup fresh, clean, and infection-free. Oil-free products should be replaced at least once a year, while regular moisturizing foundations and concealers will last up to 18 months. Mascara has a short life span because it can easily transmit bacteria back and forth between the tube and your eye, which can cause painful, grossly unattractive eye infections. Typically, mascara should last about 3 months, but if it starts to dry up before that time, throw it away. Women tend to have a spectrum of seasonal eye shadows to create numerous looks for different occasions. Fortunately, eye shadows keep well. Liquid shadows should last 1 year, while powders usually last up to 2 years. Eye and lip pencils can be kept up to 2 years. Be sure to sharpen before each use to ensure a clean, bacteria-free tip. Varying lip colors is probably what takes up the most room in every woman's makeup drawer. But with so many different shades of red, pink, and neutrals...can you blame us?? Thankfully, you can keep your tube lipsticks for up to 2 years. Cream blushes will generally last for about a year, while their powder counterparts are good for 2 years. Helpful Tip: Just like with food, if it looks or smells funny, chances are it is no longer fresh. Get rid of it. Furthermore, if you happen to get an eye infection, you will need to throw away all of your makeup...yes, all of it, to guarantee there is no repeat of that nasty infection. Cut zucchini in half and cut out center. Cut center up in small pieces and put pieces aside. Cook 1/2 cup rice; set aside. Brown vege ground turkey. Drain. Add onion and green peppers, and brown. Add rice, chopped zucchini, and tomato sauce. Line a baking dish with tomato sauce. 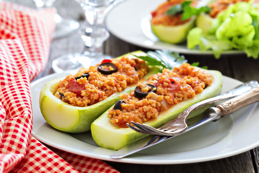 Put zucchini "boat" in dish. Fill with stuffing. Excess stuffing can be put around boat. Remove from oven; sprinkle with grated vege cheese on top. Bake, uncovered, with oven off for a few minutes until cheese is melted.